As a business owner leased with Schneider, you get more than loads and the ability to control your future. You also have the buying power of a large, stable trucking company in your corner. With the Schneider Purchase Power Program®, you’ll lower your business costs and increase your profit margin. SFI Trucks and Financing specializes in setting up owner-operators and fleet owners with the equipment and financing they need to be successful. Whether you are looking to lease or purchase, you’ll have access to a wide range of new and gently used trucks, along with a variety of financing packages designed to fit almost every credit situation. 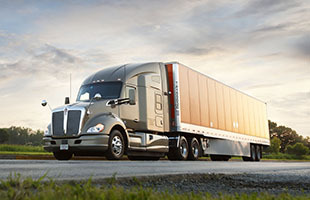 Schneider also sells its well-maintained used fleet tractors and trailers at discounted prices at schneidertrucks.com. Your truck and/or the trucks in your fleet are big investments that need to be protected. Schneider's Purchase Power gets you the best overall price and coverage in the industry, with premiums deducted from your settlements on a schedule spread over the month. Covers property damage or bodily injury you may inflict on another party when you are not under your motor carrier's direction, control or dispatch. Provides coverage for medical expenses, disability, accidental death and dismemberment for work-related and non-work-related injuries sustained while under contract. Insures each authorized passenger for accidental medical and dental expense coverage, as well as accidental death and dismemberment. We provide service at Schneider facilities as capacity and parts availability allow. This is especially important if you are under load and the requested maintenance is critical to successful delivery of the load. If we cannot assist you, we will provide a list of trusted vendors who offer competitive pricing and fast service. Advantages with Speedco include $10 off standard Preventative Maintenance (PM) service and fast, quality service in approximately 30 minutes. SFI Maintenance is a service available to all Schneider Finance owner-operators and fleet owners under lease with Schneider. Services are available for nationwide towing and over 1800 OEM dealers as well as 10,000 independent maintenance facilities nationwide. SFI Maintenance can assist with coordinating roadside assistance, towing and recovery, jump starts, out of fuel situations preventative maintenance appointments and tire repair or replacement. Receive your annual DOT-standard truck inspection at no cost when performed at a Schneider maintenance facility or a wide variety of Schneider-approved locations. By working with Schneider, owner-operators and fleet owners get advantages because they are working with one of the largest trucking companies in North America. Mileage: The fuel surcharge is calculated by using the pickup date on the load to determine the weekly Department of Energy (DOE) price for the geographical area in which most of the freight is hauled. The fuel surcharge paid on the load settlement is 100% of what the customer is billed. Percentage: Receive 100% of what the customer is billed at the time the load is selected. Take advantage of discounted rates that are competitive with the fleet discounts at the large truck stop chains. Schneider owner-operators and fleet owners also save thousands in cost each year using Schneider's truck stop network with at-the-pump discounts. In addition, to increase cash flow when operating in the West, Schneider provides a supplemental $.10 discount on fuel purchased in California, Oregon, Arizona and Washington. This card helps you manage your cash flow to suit your business needs. You can use it to buy fuel and take the cost out of your settlement, rather than out of your pocket. Save money on your trips with a free, comprehensive fuel optimizer system that provides you the best location for fuel along your route. Use our fuel optimizer tool to determine the best route and lowest-price fuel on your way to your next location. Purchase tires thru the Owner Operators Tire Credit Card Program. Using your credit card or debit card for the purchases. Enjoy lower prices on top tire brands Goodyear and Michelin. No hassles, no approvals, no waiting. A streamlined program designed to make your purchases quick and easy. Schneider has worked with Quality Chain Corporation to provide owner-operators and fleet owners with a great deal on chains for your winter traction needs. You get discounts on chains, shipping and handling (shipping available to any location in the U.S.). Our glass discount program through Safelite Glass offers all Schneider owner-operators and fleet owners discounts on glass repairs and replacements. For your convenience and cash flow management, the cost is charged back through your settlement statement.